Riot Games has announced a partnership with two companies for the new season of its League of Legends Japan League (LJL). PlayBrain and Yoshimoto Creative Agency have joined in a multi-year partnership to help produce and host the LJL. Yoshimoto, famous for being the talent agency for legendary comedy duo Downtown and producing the show Gaki no Tsukai, will be responsible for bringing the LJL to a new location: the Mugen Hall in Shibuya. They will also help in promoting the event as well as managing talent for the league. The LJL will also be following the trend of utilising Alienware as their PC and Display sponsor, and will be broadcast exclusively on Twitch through this Spring Season. The season begins on Saturday, running through March. 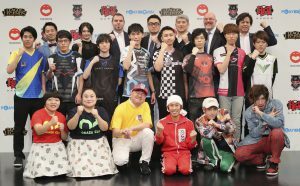 Esports Insider says: While the LJL has been running for a number of years, this is the first step towards an active partnership with companies within Japan. This could signal a deeper level of development within the Japanese scene.